The residential, nursing and dementia care offered at Queen Elizabeth Park in Guildford is highly personalised to an individual’s holistic needs, focused on improving overall health, wellbeing and quality of life. 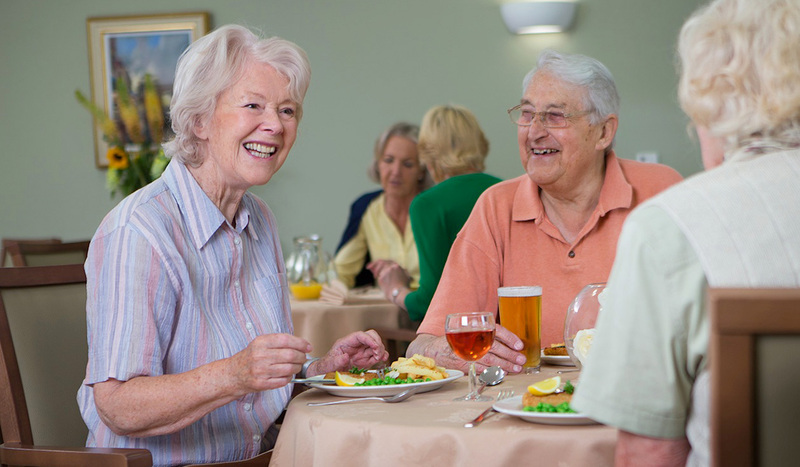 Holding registrations for all three types of care means that our residents should never find themselves in a situation where we are unable to care for them should their needs change, avoiding the upheaval of a move to another home – peace of mind for everyone. We invest in our people recruiting and retaining the very best nursing and care team, who complete on-going training and development to ensure they continue to deliver the highest quality of care to our residents. Our quality approach has been recognised by us winning Care Employer of the Year 2015, at the Great British Care Awards and is reflective in our latest Care Quality Commission (CQC) service rating. A beautiful home furnished to an exceptionally high standard, with a warm and welcoming atmosphere – a real home from home. Unrivalled levels of support are provided to our team, including supervision and coaching to ensure they are the best they can be and excel in their roles – providing the highest standards of care our residents should expect. We value our relationship with our resident’s families and provide support every step of the way, including hosting of a number of events that bring families together for support and to share experiences – reassurance just when you need it. At Queen Elizabeth Park we can accommodate couples to enable them to continue living together whilst receiving personalised care and support. Our home manager, Heather De-Ninis is here to help you and your family. If you have a care enquiry please contact Heather on: 01483 324 087 . Looking for a job at Queen Elizabeth Park Care Home? I remember our first conversation when you told us you wouldn’t be adopting just our Mum, you would be adopting the whole family. In our case it was so true. I would like to thank you all who looked after Ray with such care and devotion. The whole family is so fortunate he was placed in your care. It takes a special kind of person to do what you all do. I would recommend Queen Elizabeth Park to anyone. The team could not have been kinder. He was so well treated by everyone with the utmost respect and I cannot praise the team enough. You are a wonderful team of carers without exception and you make us feel like members of a loving family. I never cease to be grateful that Jim is in such good hands. Chef Carole Ede joined celebrity chef Ainsley Harriott at the launch of a remarkable new cookery book, specially developed for Queen Elizabeth Park Care Home. Call Queen Elizabeth Park Care Home on 01483 324 087. If you are looking for a job please call our recruitment enquiry line on 0800 612 9778.